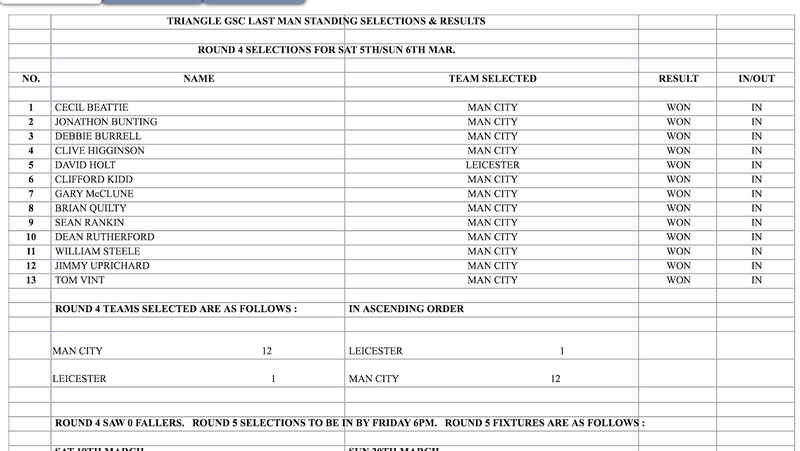 THERE WERE NO FALLERS IN ROUND 5 AND STILL 13 REMAIN IN THE COMPETITION. 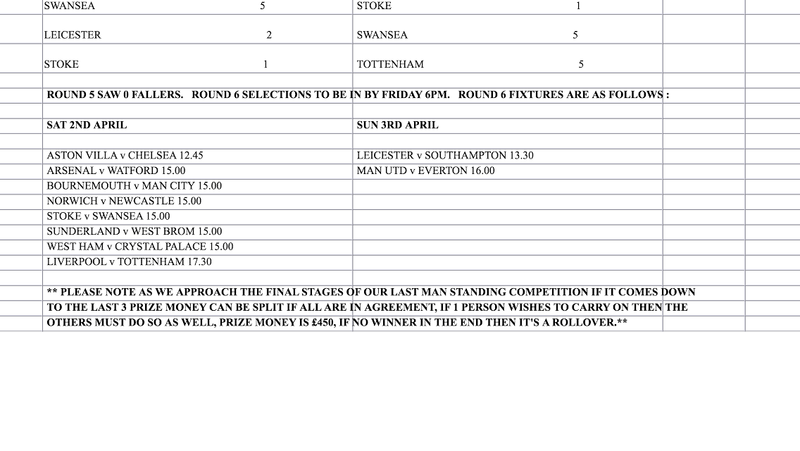 THERE ARE NO FIXTURES THIS W’END 26TH OF MARCH DUE TO INTL’S, COMPETITION RESUMES ON SAT 2ND APRIL. 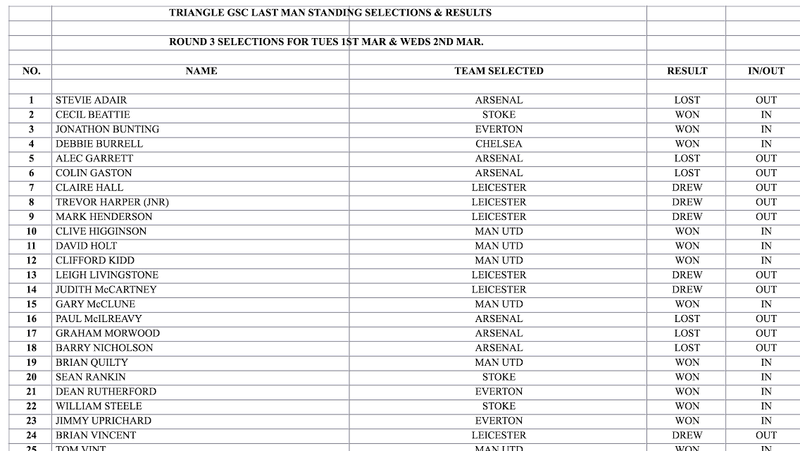 SELECTIONS TO BE IN BY 6PM ON FRIDAY 1ST APRIL. Any member who has not yet received their complimentary bus ticket for the Irish Cup semi final can text Ralph Hewitt their name and he will keep you one. Non members can also get a ticket prices £8 adult and £5 under 16s and senior citizens. Buses will be ready for boarding from 6.15pm at MVP on the Friday night 1st April, departing 6.30pm sharp. Usual pickups. This Saturday Glenavon travel to Coleraine in our last away game before the split. Bus leaves MVP at 12.45pm and Moira at 1.00pm. We will be stopping for tea on the way home at the Tullyglass House Hotel in Ballymena for a 6 course carvery cost £10 for members. Please note there are no buses going straight home after the match. Glenavon are home to Ballinamallard this Saturday ko 3.00pm. Clubroom open from 1.45pm. Find the Joker jackpot £440. The club will be running 2 buses to the Irish Cup semi final. Members need a complimentary ticket to guarantee their seat and will be available from this weekend from the Treasurer. Bus to Warrenpoint this Saturday leaves the Moira Roundabout first at 1.00pm then leaves MVP at 1.30pm. THERE WERE NO FALLERS IN ROUND 4 SO ALL 13 PROGRESS TO THE NEXT ROUND. 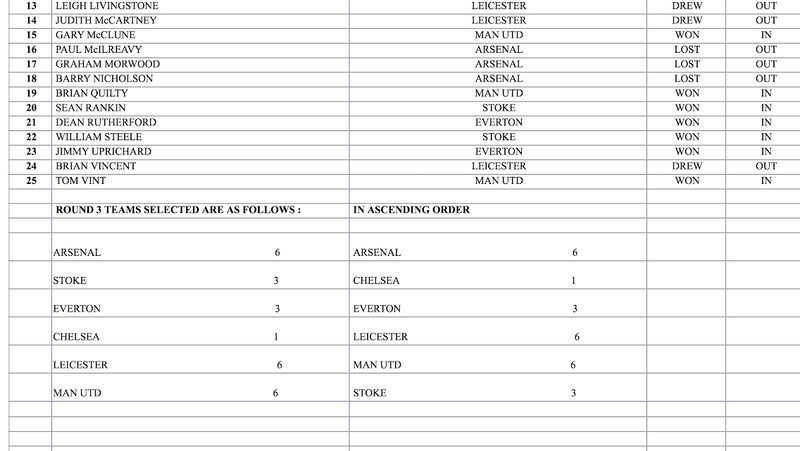 THERE IS NO COMPETITION NEXT WEEK DUE TO FA CUP 1/4 FINALS. 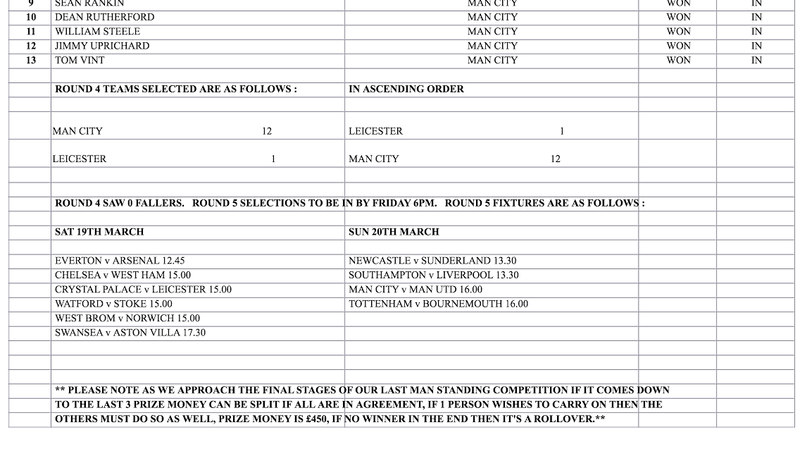 COMPETITION RESUMES ON SAT 19TH OF MARCH. 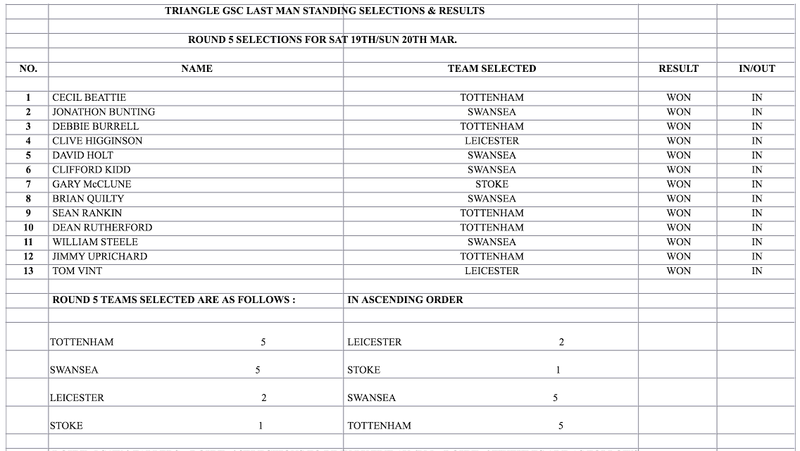 ROUND 3 SAW 12 MORE FALLERS LEAVING 13 REMAINING IN THE COMPETITION.AS IS IN THE RULES SHOULD IT COME DOWN TO THE LAST 3 THE PRIZE MONEY COULD BE SPLIT IF ALL ARE IN AGREEMENT, HOWEVER IF 1 PERSON WISHES TO CARRY ON THEN SO MUST THE OTHERS. 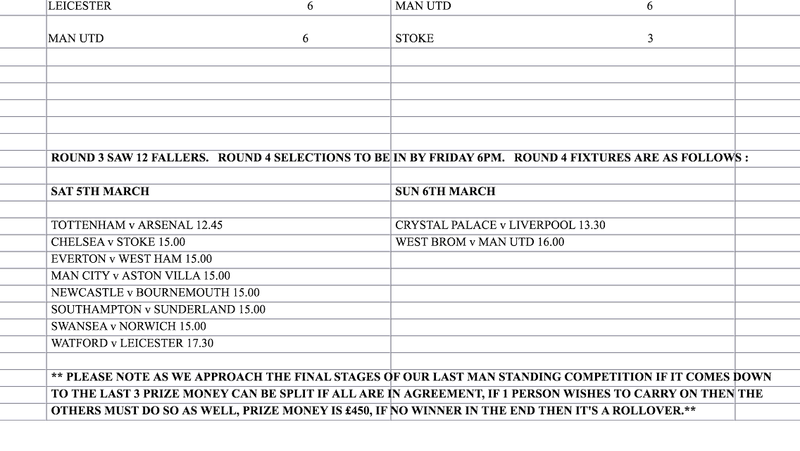 IN THE EVENT OF NOBODY WINNING THEN IT WILL BE A ROLLOVER. You are currently browsing the Glenavon Triangle Supporters' Club blog archives for March, 2016.